The first Monday of August is a holiday for people in many parts of Canada. It is a statutory holiday in some provinces and territories but in others it has another legal status. It is often called the “August Holiday”, “Civic Holiday”, “Provincial Day” or other local names, such as Terry Fox Day in Manitoba. This three-day weekend for many is a time to unwind and enjoy the warm weather and take a well deserved break. 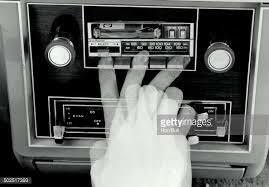 But this long weekend is often the time that radio stations choose to change format. Listeners drive out of town on the Friday listening to their favourite radio station, and return after the long weekend to find something completely different on that frequency. As I write this, Bell Media are stunting in Kitchener playing an All Christmas Format on Kool 105.3. They are also teasing a format change on one of their stations in Halifax. Corus is promising “Something big is coming” at noon today (29/7) on the B101 frequency. Chances are it will be the “Big’ format and only time will tell if this change will steal away audience away from either Rock 95, Kool 107.5, or the Dock stations that are owned by independent operators and have dominated listening that that market for a number of years. If it is the same format that is on the air in Winnipeg, I suspect it will fail, given the amount of duplication of music that exists on two of the leading stations in the Barrie market (Rock 95 and the Dock), but time will tell. A competitor with more fire power steals your format and will ultimately beat you. The cost to change formats is far greater than just the initial costs. This includes the cost to build a new music library, develop a new logo website and business cards, find the new image voice and get everything produced and sounding right. They you need new stationary, business cards and to change all the external and internal marketing – everything – station vehicles, billboards and all the places your old logo may exist. There are the long term costs which may not be immediately obvious. For example, often a format change means letting some staff go, which has a financial cost, but it can also have downstream impact and in some cases damages that company’s reputation as an employer. It also damages or in some cases destroys people’s careers. Advertisers get upset and listeners can feel betrayed. At the very least, changing format throws a lot of listeners up in the air and many will decide to move to their P2 station or at least spend more time listening to that station. In rated markets the station changing format will likely have a bad book or two which results in a revenue decline. In some cases there might be some short term gains, but over time the audience drift away. We are seeing that with the Virgin Brand in London for example. I am sure we all know those stations that seem to change formats every three to four years. They seldom end up in a better ratings or revenue position and never seem to learn from their mistakes. They are like that retail location that can never seem to make it. Every few months you drive by and notice there is something different in that location and you wonder how long they will last. In some cases, format changes happen because the staff become bored with the format and stop caring about the brand, and that is often a result of bad management either at the corporate or local level. One of the down sides of consolidation in any industry is that resources are spread thinly and often there is not the depth of strategic thinking at the local level who have the power to make the required critical decisions, as market opportunities present themselves. This is one of the reasons why many of the small independent operators are so successful. All they have to worry about each and every day is their market, and they can be nimble and move quickly. Radio stations that have strongly developed plans for every department that are clearly communicated to each and every member of the team, each of who understand where the station is going and how it will get there are far more likely to be successful. When every member of staff has clear measurable goals, and work hard to bring these to reality the radio station becomes incrementally better. If you were to walk around your radio station today and ask each member of staff what is the one thing they will do today that will make the station better, how many would have a clear answer for you? If they do not, it’s the fault of the folks at the top by the way. Think about it for a moment, if you have 15 or 20 staff on a station and each one has clearly defined short term, medium term and long term goals and they are focused on bringing these to life, then each and every week the radio station will become better. I would hope that before the decision is taken to change format, the station will invest in market research so they have a very clear picture of the perceptions and opportunities in that market. This is just one of the many aspects that need to be looked at. Over the years we have built a step by step guide to help stations through this process. In many cases the smart move is to fix the existing product rather than blow it up. Often we are brought in to help with that process, in part because we can be totally objective and can see things that those who are too close to the product will miss. It looks like Corus will roll out the Big format in Barrie and Bell will roll out Virgin in Kitchener and Halifax. It will be interesting to watch the performance of these station to see how they are rating 24 months from now. on 12 July 2016 Music Biz, a company that promotes online music, released some research they commissioned via LOOP that indicates 15-19 year old American are tuning away from Radio to Embrace Streaming. Cumulus/Westwood One Chief Insights Officer Pierre Bouvard looked at data from Nielsen, Edison Research, and the Advertising Research Foundation and appears to offer a more balanced response which you can see in the slides below. 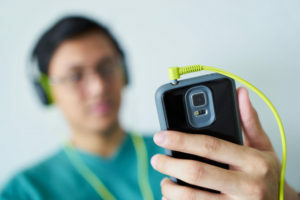 Westwood One examined frequently heard beliefs about Millennial media habits and used research from Nielsen, Edison Research, and The Advertising Research Foundation to check the facts on these assumptions. Bouvard makes some good points as always, but we do need to be careful we are not ignoring this issue. The reality is, not every radio station wants to or actually targets this demographic. We consult Top 40/CHR stations that target this demographic so we know how fickle this audience can be, and even more importantly how challenging it is to get accurate listening stats via a paper diary system. EVERYONE CARRIES THE INTERNET in their pocket, yet radio and television remain the primary way people get information in an emergency. So when a disaster knocks out power and takes down cell service—along with those government emergency alerts—you’re going to need a radio to know what’s going on. A radio? Who owns a radio anymore? Broadcasters and public safety officials have long urged handset manufacturers and wireless carriers to universally activate the FM chip, and recently brought the campaign to Canada. Carriers have little financial incentive to do so because they profit from streaming data, says Barry Rooke of the National Campus and Community Radio Association. But the wireless industry is coming around, and says anyone who wants a phone with FM radio can find one. FM capability is baked into the Qualcomm LTE modem inside nearly every cellphone, including iPhones. Tuning in on a smartphone is common in the developing world, so it’s easier to deactivate the chip then install different modems for different markets, says Paul Brenner, CEO of NextRadio, a radio-tuner app for FM-enabled phones. Manufacturers can activate the chip, but the decision to do so typically rests with carriers. If you’re Verizon customer, tough luck. AT&T and T-Mobile are embracing activation for all Android phones, following a move Sprint made in 2013. Apple remains the biggest holdout. The company did not respond to multiple requests for comment, but critics say it has little incentive to do anything that might undermine Beats One, Apple Music, and other streaming services. Broadcasters aren’t clamoring for the government to step in, either. “Mandating or requiring FM chip activation as some sort of public policy imperative is probably not the way to go,” says Michael Reskin of National Public Radio, which has long urged carriers to let people tune in on their phones. He believes continued pressure from listeners will prompt manufacturers and carriers to come around. Until then, it’s probably a good idea to get a transistor radio, just in case.